• Formal drawings preparation from colored images, computer screen shots etc. • Mechanical drawings including Isometric drawings, assembly drawings, sectional drawings, detailed drawings, exploded view drawings, cut-away drawings, Plan, Elevation etc. 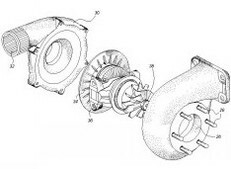 Patent illustrations are delivered in a variety of formats such as PDF, PPT, DWG, JPEG, BMP, TIFF etc. We can also offer a dedicated Patent Illustrator who can work for your team from our office in India. Pilot Project: We establish proof of concept even before you enter a formal arrangement by conducting a pilot project. This will clearly define parameters of quality, productivity, turn around time, and cost efficiency.